Finally, we are in the midst of a shift towards more use of encryption on the Internet, first spurred by Edward Snowden’s revelations in 2015. That’s really a separate discussion, but it is relevant here in that encryption is one of best tools we have to ensure that protocols can evolve. While everybody seems to be using Google maps, the quality of the maps in Open Streetmaps has quietly surged ahead. Now the detail and useful information on OSM easily beets Google into the covers. Here is a simple example of a location in Reading that I know well. 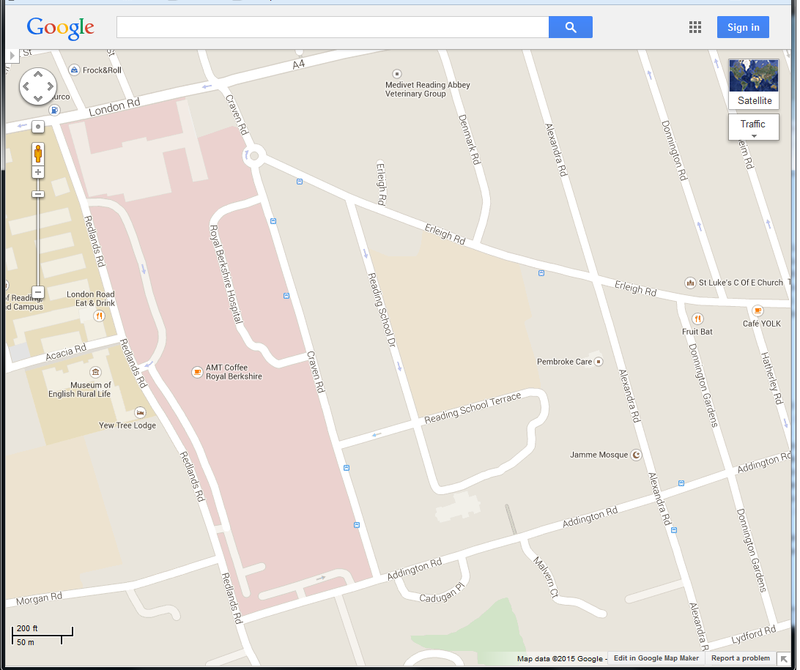 The street names are there in the Google version, and one or two building outlines. 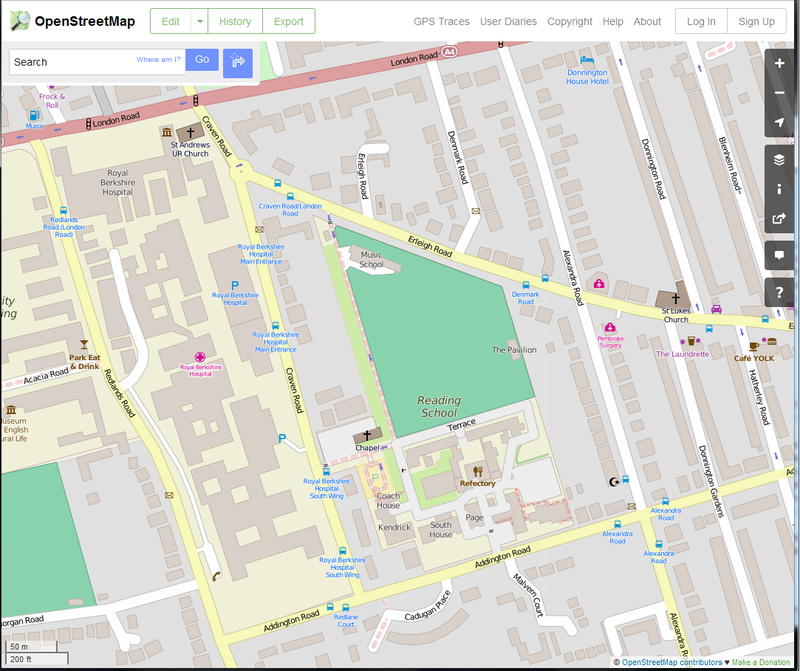 Bus stops are in both, but in OSM these all have labels. Many more amenities are in OSM that Google, and they probably score equally on businesses. I would have thought that Google would have many more businesses, but perhaps these are not all displayed in trying to keep the map clean. Try it yourself and see if you can find an area where Google is better!